Opening Hours: Mon To Fri - 8:00 a.m. - 5:00 p.m.
Madonna Fit For Work offers a continuum of services led by occupational health and wellness experts who are dedicated to helping employers reduce costs by promoting employee health, wellness and safety. Using holistic and strategic integration of occupational health, safety and workplace wellness, with the leadership of medical experts, Fit For Work creates a customized program for your organization, tailored to meet the needs of each employee. Employers have a dedicated hotline for scheduling services and easy access to wellness resources. The complimentary phone service saves employers valuable time and energy by efficiently coordinating information between the company, employee and our medical experts. 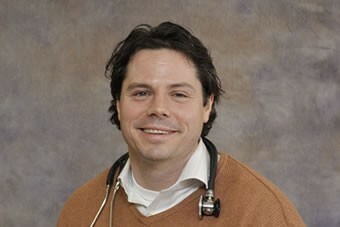 Adam Kafka, M.D., has been a physiatrist at Madonna since 2009. He focuses on restoring maximum function lost through injury, illness or disabling conditions. Kafka provides conservative, non-surgical diagnosis and treatment of spine and orthopedic injuries. In addition, he performs electromyography and nerve conduction studies that aid in the diagnosis of nerve and muscle disorders. Kafka is a Lincoln native. He graduated with a Doctor of Medicine from the University of Nebraska Medical Center. After an internship in Internal Medicine at Iowa Methodist Medical Center in Des Moines, he completed the Physical Medicine and Rehabilitation residency program at the University of Wisconsin. 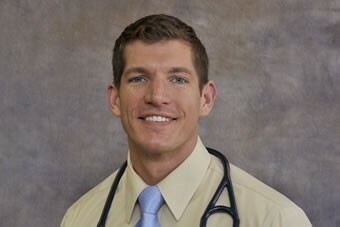 Dr. Kafka is board certified in Physical Medicine and Rehabilitation. Morgan LaHolt, M.D., focuses on restoring optimal function lost through injury, illness or disabling conditions. He has been a physiatrist with Madonna since 2010. LaHolt is board certified in Physical Medicine and Rehabilitation and has subspecialty certification in Brain Injury Medicine. LaHolt is certified by the American Board of Independent Medical Examiners as a Certified Medical Examiner. His reports are detailed and specifically tailored to address such issues as causal relationship, disability, permanency, schedule loss and apportionment. LaHolt is a Lincoln native. He graduated with a Doctor of Medicine degree from the University of Nebraska Medical Center (UNMC). After an internship in Family Medicine, he completed the Physician Medicine and Rehabilitation residency at the University of Missouri-Columbia. He served as chief resident status his final year. Jackie Tran, M.D., is a board certified Physical Medicine and Rehabilitation physician at Madonna Rehabilitation Hospital since 2013. 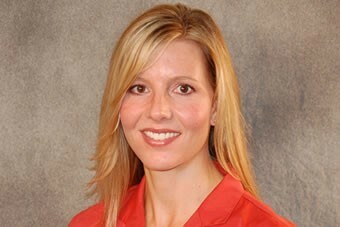 She specializes in non-surgical management of nerve, muscle, bone, movement, and pain conditions. Her practice incorporates regenerative medicine principles and techniques in management of musculoskeletal injuries. 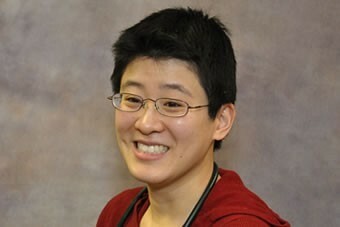 She is also a certified Department of Transportation medical examiner and performs medical evaluation for employment. She is a graduate of New Jersey Medical School and completed a Physical Medicine and Rehabilitation residency at Rutgers/Kessler Institute for Rehabilitation. She has authored and presented on various musculoskeletal, pain, and health delivery topics for the national and international community. Madonna Fit for Work welcomes Kathy Jelkin to our team as Fit for Work Corporate Wellness & Occupational Health Manager. In her role, Kathy will lead our dynamic group of occupational health and wellness professionals providing clients with a well-rounded package of service offerings. Kathy brings nearly 15 years of occupational health experience to Madonna. She began as a Health Service Manager at Concentra Medical Centers serving both Omaha and Lincoln markets until she transitioned to a Regional Sales Executive position for both DiaTri and Cypress Care. Kathy graduated from the University of Nebraska at Kearney with a degree in Fitness and Leisure Business Management. She is passionate about helping companies achieve success with their occupational health programs by building relationships and serving as a resource for their needs. Kathy has been married to her husband Bill for 22 years and they have two boys Jaxon and Jacen. She enjoys playing soccer, cooking and attending her sons’ sporting events. You can reach Kathy at 402.413.3936 or kjelkin@madonna.org. Dustin Reinbold, M.S.P.T., A.T.C., O.H.C., has been practicing physical therapy since 2000 and joined the Madonna TherapyPlus team in 2006. He works at the TherapyPlus Northwest Clinic, specializing in the treatment of back, shoulder, knee, foot and ankle injuries. Dustin has more than 12 years of experience workers’ compensation cases. He believes in a hands-on approach/manual therapy complemented with therapeutic exercise to manage injuries and return to work. In addition to his responsibilities at Northwest Clinic, Dustin works on-site at a local manufacturing company, providing ergonomic assessments, job site analysis, injury prevention and management and development of individual fitness programs for employees. Dustin has completed the Occupational Hearing Conservationist course, giving him the knowledge to perform hearing screens and help local companies with their hearing conservation programs. Dustin, who is from Wagner, South Dakota, received his Bachelor of Arts degree from Mount Marty College in Yankton. He obtained his Master of Science in Physical Therapy from Des Moines University-Osteopathic Medical Center. Jill, a Nebraska native, has worked as a physical therapist at Madonna since 2001. She received her bachelor’s degree in Exercise Science from the University of Nebraska-Lincoln and her Master of Science in Physical Therapy from Des Moines University-Osteopathic Medical Center. Jill has completed several manual therapy courses for treatment of the spine and shoulder including Advanced Manual and Medical Exercise Therapy for the Upper and Lower Quarter and Evidence-Based Examination, Functional Testing and Intervention of the Hip Joint and Predicting the Clinical Course of Whiplash. Her areas of expertise include treatment of sacroiliac joint dysfunction and diagnoses related to shoulder, neck and myofascial restrictions. Jill is also certified in mat Pilates, which enhances treatment for injuries due to instability and postural dysfunction. In addition, she is trained to provide Graston treatments, an instrument assisted soft-tissue mobilization technique, Kinesiotaping and Myofascial Release techniques. Jill enjoys teaching others about posture and body mechanics for injury prevention and treatment. Her work at Northwest includes helping patients injured in the workforce, while communicating with case managers and employers to facilitate their return to work. Melissa Rose is the voice of the Fit For Work Corporate Services Hotline, serving as the first point of contact since 2008. 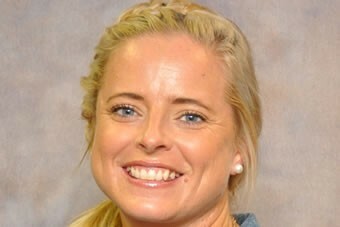 She is a valuable asset to the Fit For Work team in managing occupational health needs. With a smile, she arranges pre-employment screens and drug screens and works to schedule DOT physicals in a timeframe that works for companies and their employees. She guides the follow-up process for on-site work injuries to return the employee back to work in a timely manner, helps obtain authorization and schedules additional services ordered by the physician. 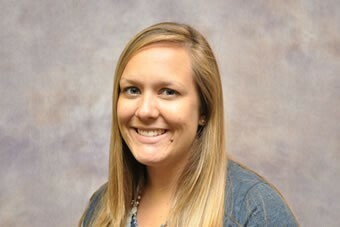 Katie Jones is a registered dietitian and licensed medical nutrition therapist. She received her bachelor’s degree from the University of Nebraska-Lincoln and earned her master’s degree in Nutrition and Health Sciences with an emphasis in community nutrition and a minor in agricultural leadership education communications. She is also certified in transdisciplinary childhood obesity prevention. Katie’s experience revolves around nutrition, food allergies, diabetes, heart disease, weight loss, meal planning, athlete nutrition and overall health and wellness. She specializes in one-on-one nutrition counseling, health coaching, group nutrition counseling and public speaking. She has created nutrition displays, programming and health and wellness challenges that encourage others to live a health, active lifestyle. 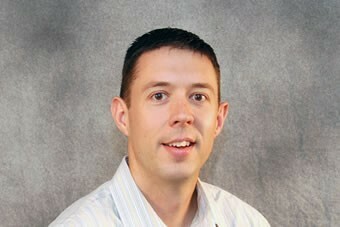 Daniel Crowe is a board certified clinical specialist in orthopedic physical therapy. He obtained his bachelor’s in exercise science and minor in biology from Concordia University in Seward, NE. 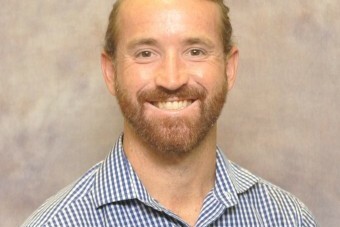 He earned his doctorate in physical therapy from Midwestern University in his home town of Glendale, AZ. He has been a physical therapist since 2013 with experiences ranging from acute care, inpatient rehabilitation to outpatient orthopedics. He enjoys working with complex medical diagnoses, orthopedic injuries of the spine and extremities, as well as sports related injuries. When he is not working he enjoys exercising outside with his wife, playing golf, watching Husker athletics and competing in sprint distance triathlons. A holistic approach to making wellness real for your entire workforce. Comprehensive services to keep your employees safe and healthy. High quality treatment and care for injured workers. Your source for real solutions for a healthier workforce: Injury prevention, injury management and wellness services. The Corporate Service Hotline is the hub for all communications, coordinating information between the employer, the employee, the medical provider and the payers. Available Monday through Friday, 8 a.m. - 5 p.m.